Without question, this is the most tested recipe on Cooking with Mamma C. I stopped counting after nine versions. 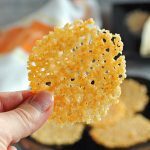 You see, I had a vision for baked, gluten-free onion rings using seasoned Parmesan as the “breading.” And I wanted them in time for the Super Bowl. And I wasn’t giving up until I got it right. So, I kept going, sometimes baking just one or two rings at a time to test my latest theory of how to get the coating to adhere, how to make the onion rings crispy, how to prevent the Parmesan from burning on the bottom…and how to incorporate melted butter. I wanted to model these after our beloved Parmesan Chicken Drumsticks with Garlic Butter, Lemon Parmesan Cod with Garlic Butter and Baked Parmesan Shrimp with Garlic Butter. “Did somebody say, ‘ONION RINGS??!! '” He was more than willing to fulfill his food-blogger-spousal duties. And, apparently, I was a little too enthusiastic about all the sampling that day. (Scroll down two paragraphs if you don’t want to get grossed out.) The next morning, during cycling class, where I usually log in 17-19 miles but once did 20…last chance to bail…I used my clean towel to wipe the sweat off my face…and the towel reeked of onions! I really took one for the team. OK, I guess my classmate suffered the most. That’s all, folks. You’ve got to try these! 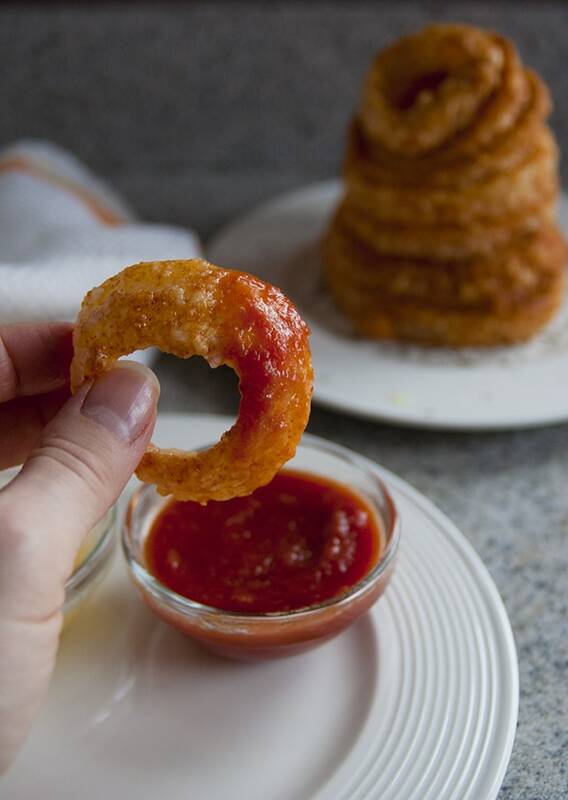 Must.Have.Baked.Onion.Rings for the Super Bowl. Just don’t go to the gym the next morning. 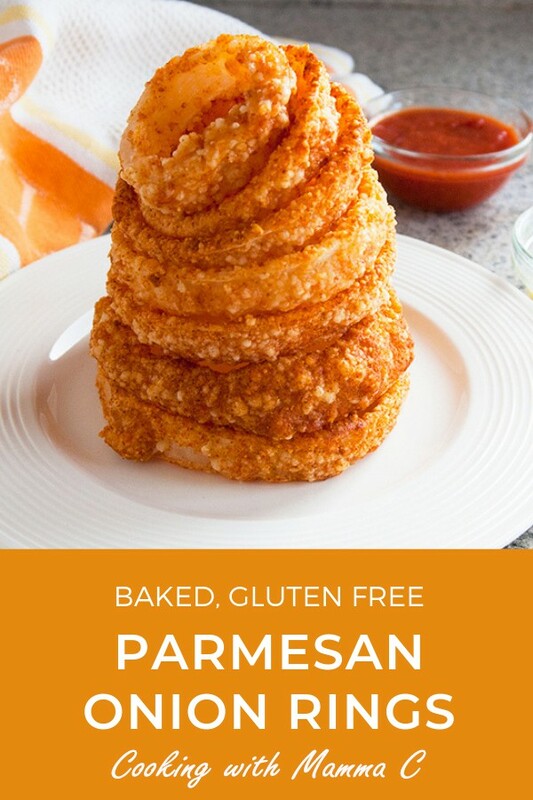 Watch the video to learn how to make Baked Parmesan Gluten-Free Onion Rings! Crispy & delicious! Note that you'll need five Ziploc bags (quart or gallon sized) to make it easier to coat the rings. Heat your oven to 400 degrees F. Peel your onion, rinse it and pat it dry. Slice off the root and stem ends. 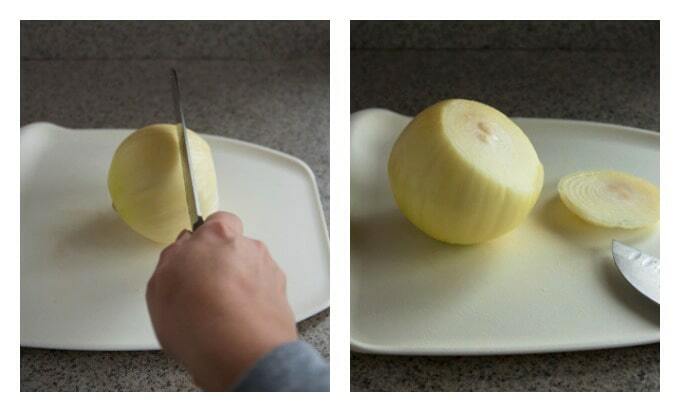 Slice the onion into circles 1/2-inch thick (see photos). Separate the onion into rings by gently pushing through the center of each slice. 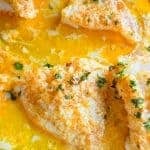 Place two egg whites into a liquid measuring cup or a soup bowl. Use a fork to beat the egg whites until they are a little frothy. Set up an assembly line from left to right with your onion rings, the corn starch, the cup or bowl of egg whites, the bag of Parmesan coating, and your baking sheet that has a wire mesh cooling rack placed on it. (See photos.) Have three forks ready: one for the corn starch, one for the egg whites and one for the cheese coating. To dip, place an onion ring into the bag of corn starch, hold the bag closed, and shake it a bit until the onion ring is coated inside and out. Use a fork to loop inside the ring and lift it out, shaking off excess corn starch into the bag. Drop the onion ring into the egg whites. With your egg white fork, scoop the egg whites over and inside the onion ring to coat it. Lift the ring out of the egg whites, letting any excess drip off. Next, transfer the onion ring to the bag of Parmesan coating. Close the bag and shake it until the ring is coated inside and out. 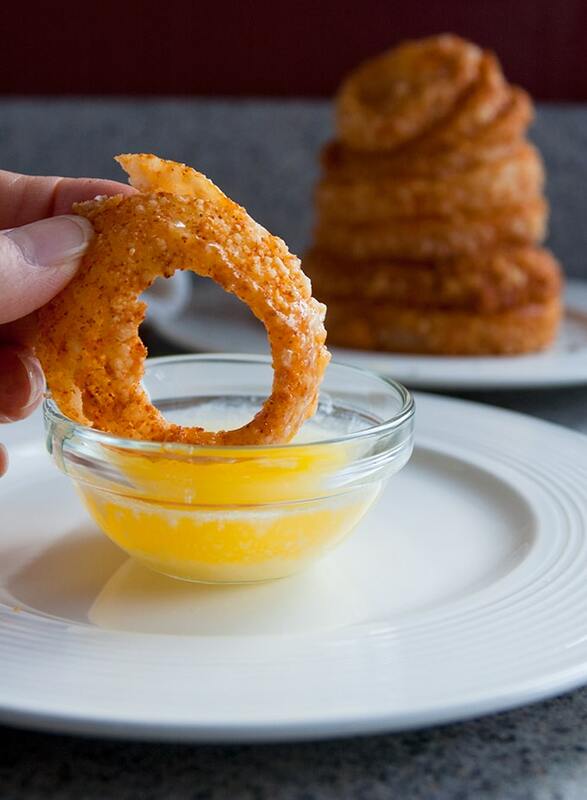 Use your Parmesan fork to lift out the onion ring and shake off excess cheese into the bag. 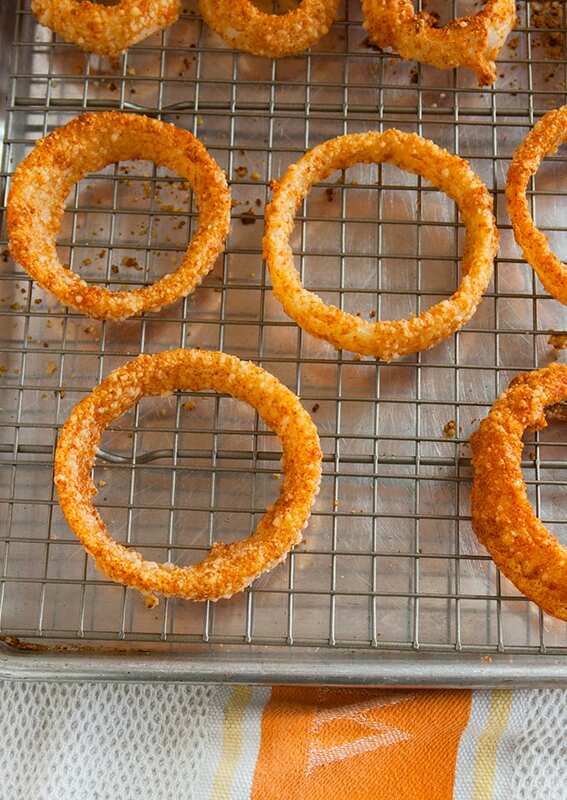 Place your coated onion ring onto the rack in your baking pan. Continue the process, adding two onion rings at a time (or a little more if they fit) to your corn starch bag. Remove one ring at a time from the corn starch and continue dipping that ring until it's ready to be placed on the rack. It helps to place rings of similar size next to each other on the rack, and you should be able to fit about 12 rings at a time on the rack. 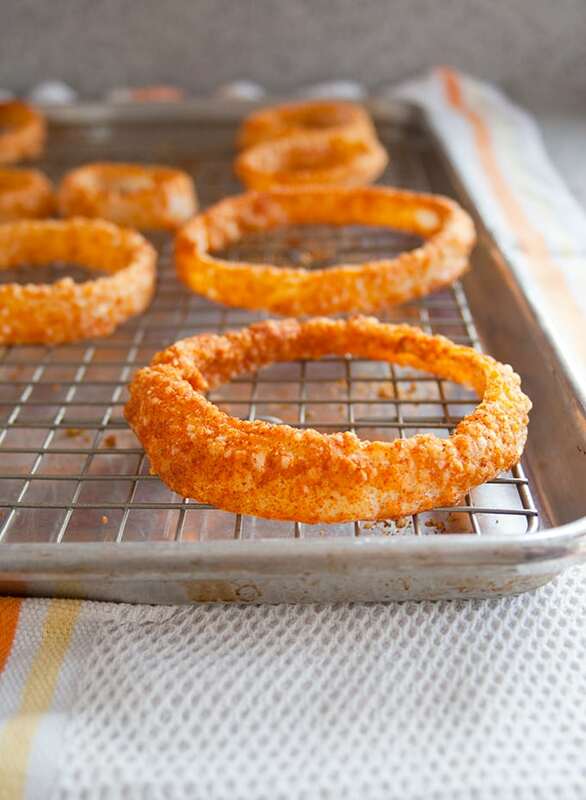 Bake the onion rings for 11-14 minutes, or until they are crispy and reddish golden. Mine take 13 minutes, but it will depend on your oven. Don't let them burn. Discard your bags with leftover corn starch or Parmesan mixture. 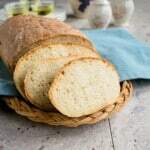 If you have any leftover Parmesan blend from your mixing bowl, and it has not touched the raw egg whites, you can save it for another use. Store leftovers in a tightly closed container in the refrigerator for up to five days. I'm counting four onion rings as an appetizer serving. The onions themselves (inside the crisp coating) are crisp-tender after being baked. If you want soft onions on the inside, you have to soak them for 30 minutes in ice water, then pat them dry before dipping them. I found them too soft that way. There is not a video link above the recipe. Also, how do you reheat the onion rings after they are stored in the fridge? Hi Beth – If you’re viewing the post on your phone, the video is right above the recipe card. If you’re viewing the post on your computer, the video is after the first photo. Just scroll down a bit until you see a video player. As for reheating these onion rings, you’ll get crispier results in the oven or toaster oven, as opposed to the microwave. Try 350 degrees for 10-15 minutes. Thank you for the helpful hints! 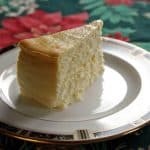 When you reheat, do you use the same procedure as when they were originally baked or do you cover them with foil to prevent further cooking or browning? You should be able to just lay them on a foil-lined pan without covering them. I haven’t tried it, since we usually eat these so fast or just reheat them in the microwave, which isn’t ideal. How many are a serving for the nutrition. Hi Andra – There are four in a serving. 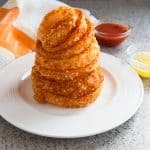 I can’t find the video to watch how these onion rings are made, but would love to try them. Would probably feel better about it if I could see the video. Hi Pam – The video is located just above the recipe card. 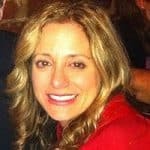 Hi Melissa – I don’t currently provide nutritional information for my recipes, but will be implementing that in coming months. Meanwhile, you could try one of the calorie sites online. A little late to the party, but I’ve made these a couple times and have changed the methodology just slightly. Firstly, I soak my rings in buttermilk – my husband travels and has a sensitivity to smelling like onions and garlic next to the poor guy (or gal) sitting next to him on a plane. Soaking them for a few hours in the fridge helps draw out that smell, and enhances the tender sweetness of the onion. Secondly, I added the cornstarch to the parmesan and saved a bag and a step. Worked out fabulously. I actually didn’t need as much cornstarch as the recipe called for. Finally, I baked these in my Cuisinart Air Fryer and they turned out really great. Thanks for the recipe! Thanks for sharing your tips, Susan! I’m so glad these worked out for you.